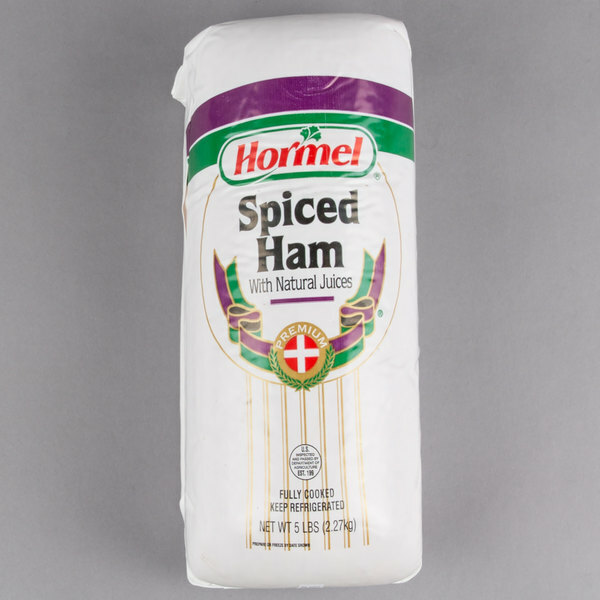 Let the natural juices of this Hormel oval spiced ham enhance the flavor of your dishes in comparison to regular deli ham and ensure any treat you make is meaty and mouthwatering. The spices add a touch of seasoning that creates a tasty and distinct flavor. 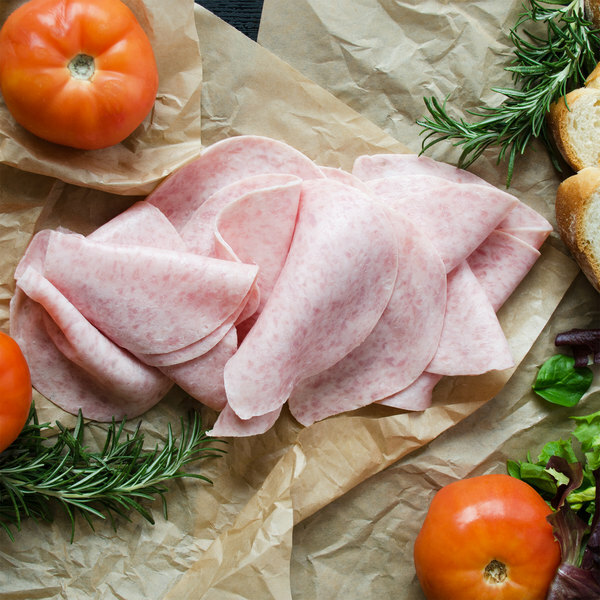 Try layering premium cut slices of this succulent ham on top of your famous warm breakfast sandwich or hearty stromboli, and allow its natural juices to add a savory, meaty flavor to your dishes. Best of all, this ham can be used for more than just crafting fresh sandwiches. Score the ham, cover it in a sweet pineapple glaze, and serve it baked next to some fresh green beans, for a piping hot and hearty entree dish. 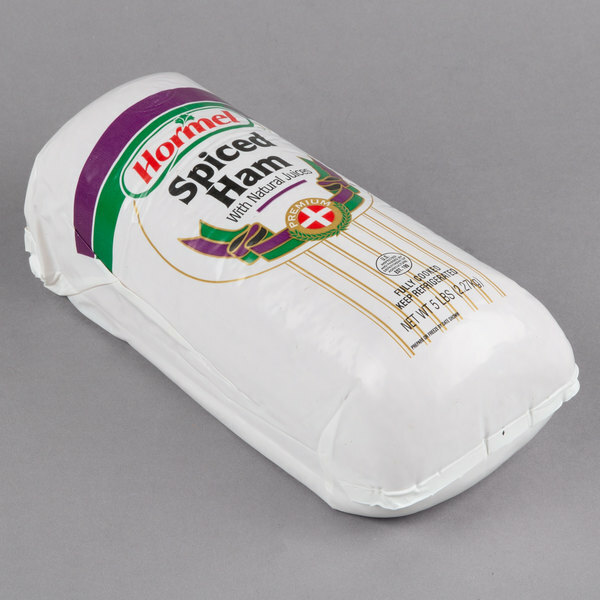 This spiced ham is made from select cuts of fresh pork, offering you a high quality product to keep on hand. Plus, its firm texture and bind allows for optimal slicing, so you can create premium thick or thin cuts of ham to add to any dish. 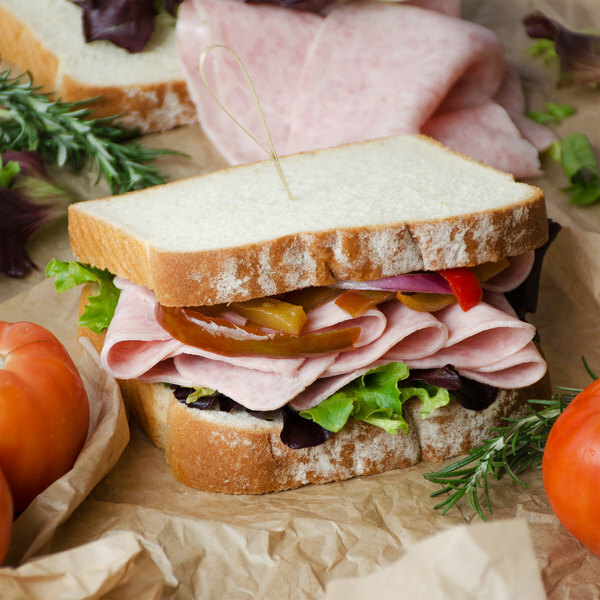 Ready to use out of the packaging, this ham is great to pile high on top of sandwiches, layer in subs, or even cube and add into a fresh and creamy potato soup.